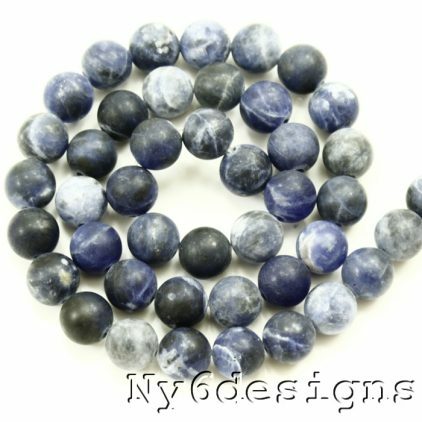 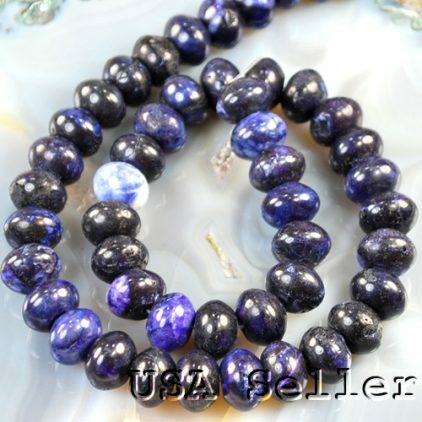 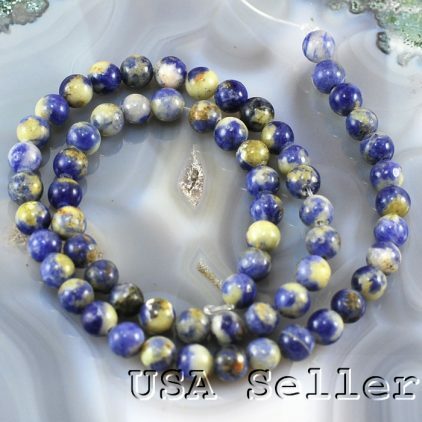 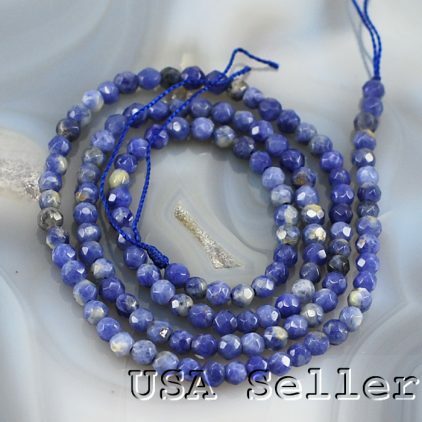 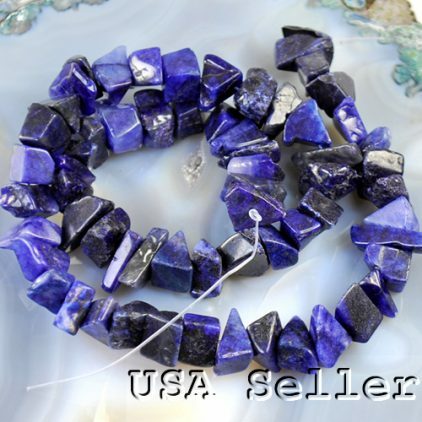 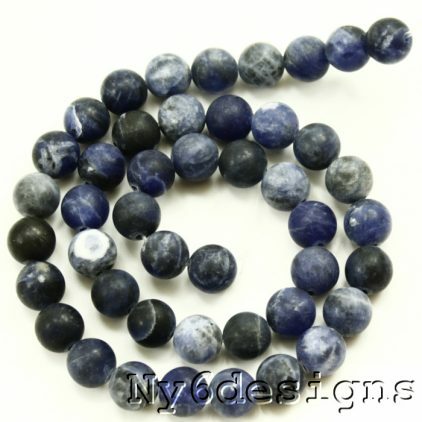 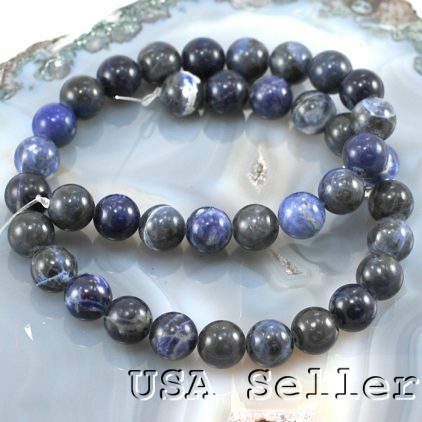 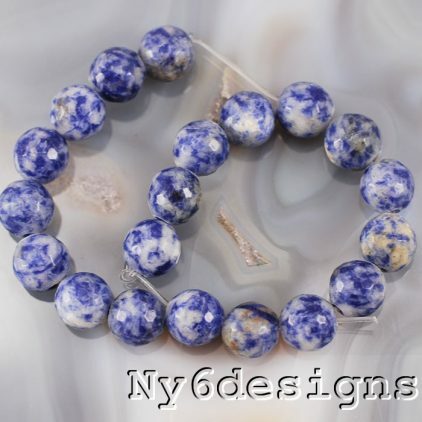 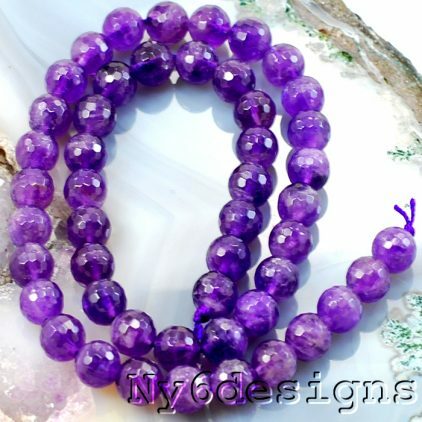 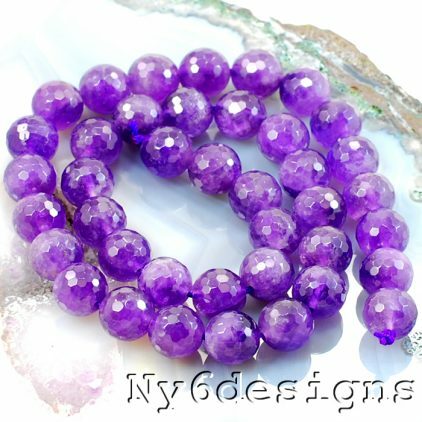 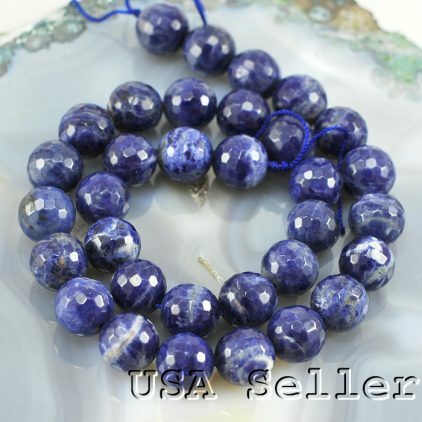 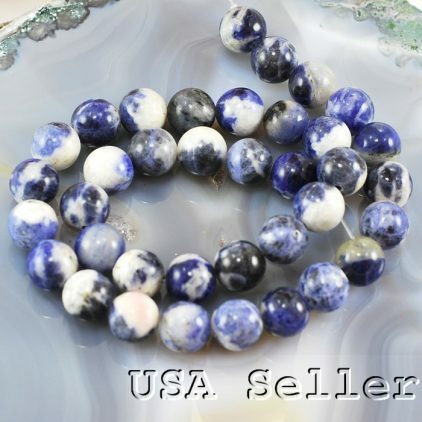 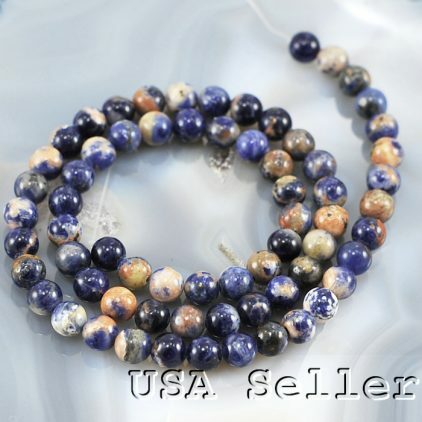 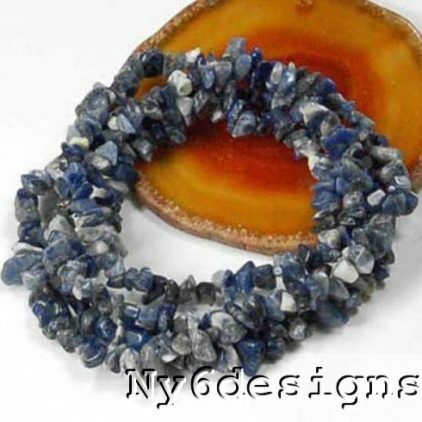 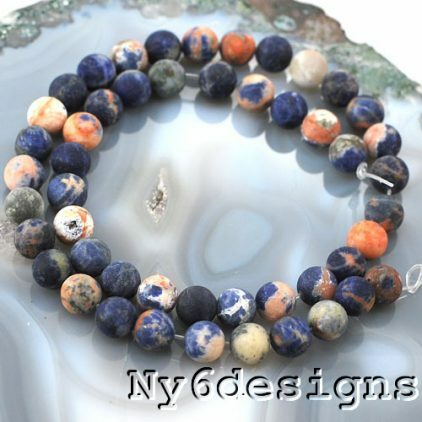 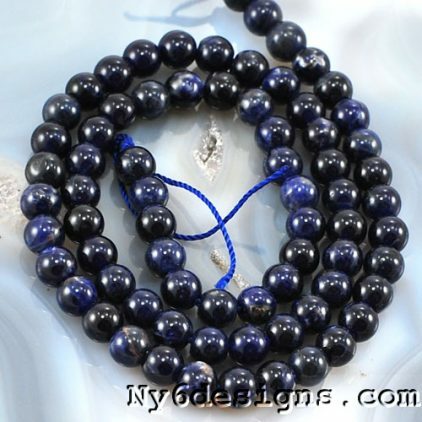 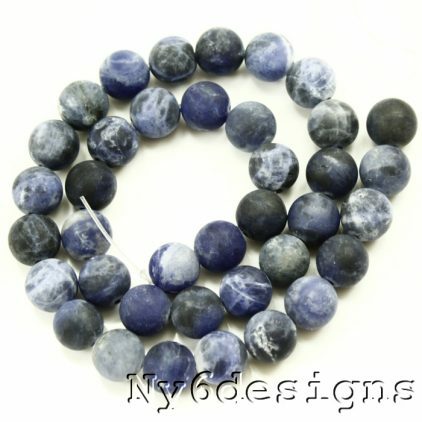 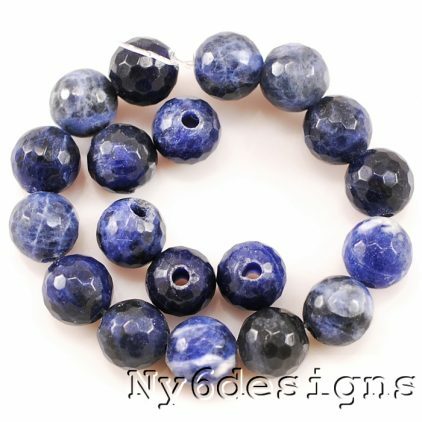 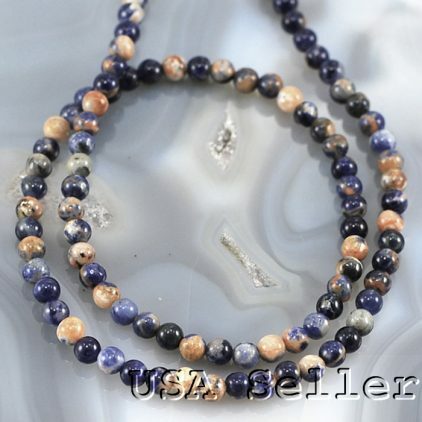 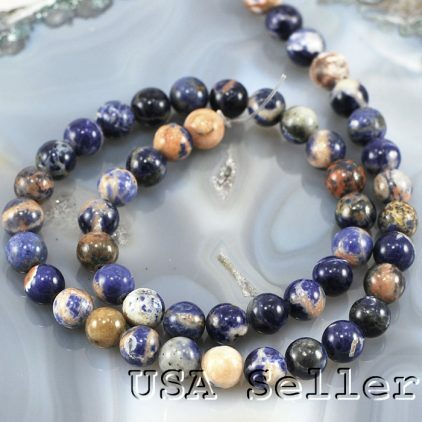 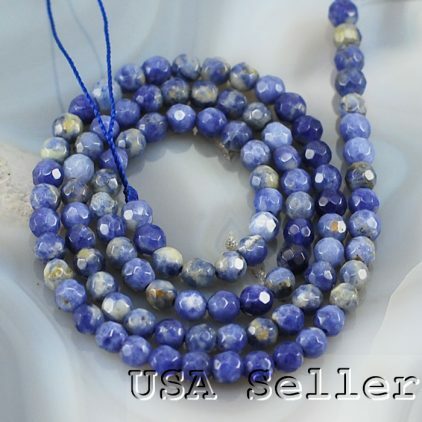 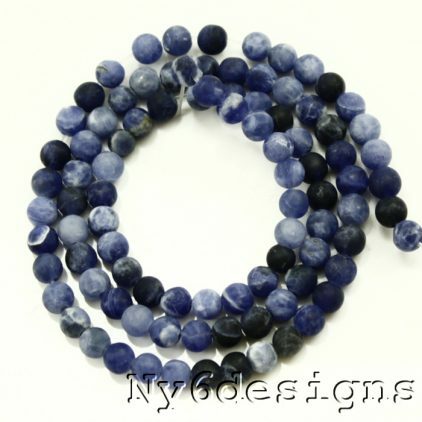 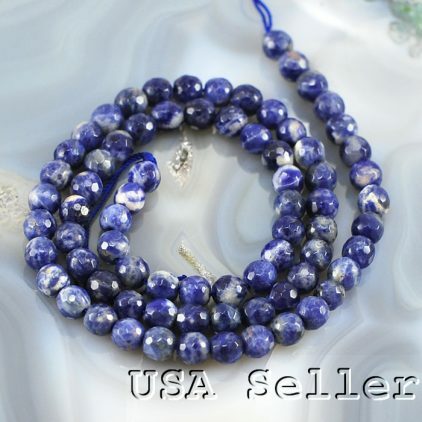 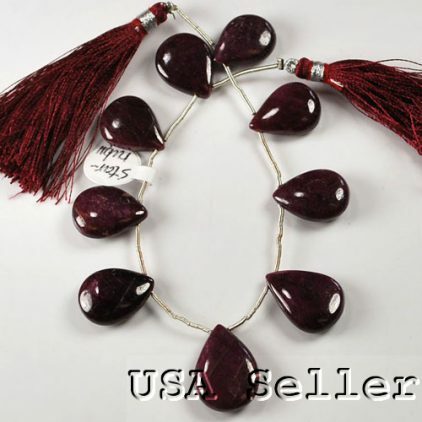 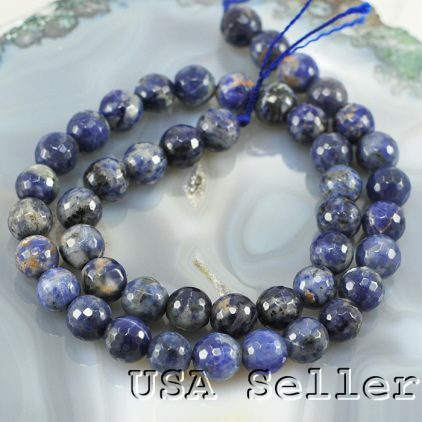 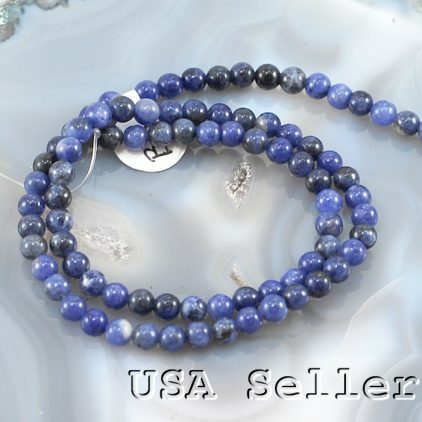 Deep, deep blue and opaque, sodalite’s appearance is similar to that of lapis lazuli. 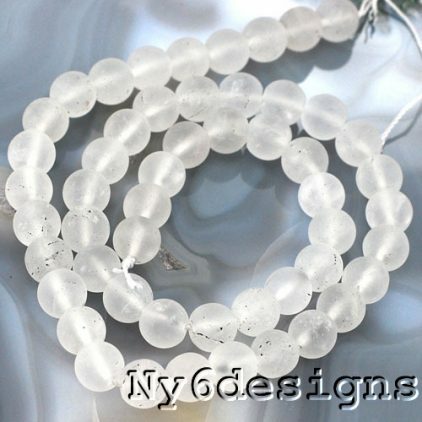 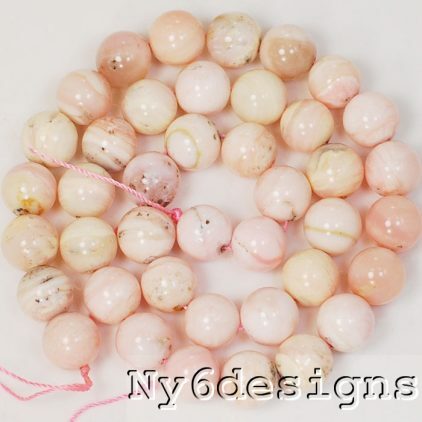 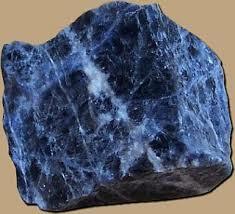 However, sodalite exchanges lapis lazuli’s flecks of golden pyrite for veins of creamy white calcite. 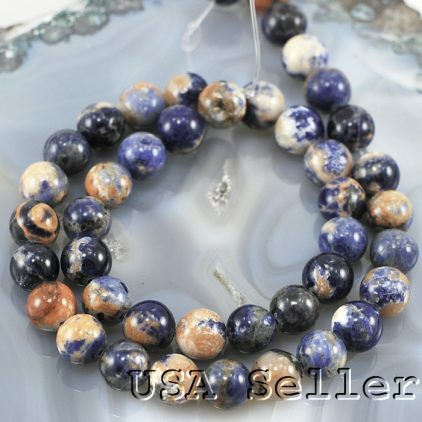 This combination of enchanting blues with streaks of bright whites results in a stone of otherworldly fantasy.